Let’s take a moment to talk about Fear. We have all experienced it. Its evolutional function was to keep us safe and alive. However the problem comes when we are in no real danger and still living in a state of trepidation. We are no longer living in a time when our lives are perpetually in danger, yet the fear remains. Don’t think it’s affecting you? Keep reading. I grew up in a household with a constant undercurrent of fear. My father suffers from mental illness and was labeled with a multitude of different diagnoses through my childhood. While they struggled to find the right combination of meds, we lived with the constant anxiety that he might take off or worse. My mother had promised to never have him hospitalized, so we saw first hand what he was like unmedicated and in the throngs of full on delusions. At one point he disappeared for days and we weren’t sure if he was even alive. With the changes in his meds, his personality also changed. We never knew who we would be dealing with. During most of that time he was paranoid, angry, and verbally and emotionally abusive toward my mother. I learned to be hypervigilant at an early age, always aware of the slightest change in his mood. The fear from my home life carried over into life outside of our house. We all were charged with keeping the secret of my father’s illness as if it were something to be ashamed of. We were not allowed to have friends over, and as a result were rarely invited to our classmates houses or birthday parties. For the most part, we all coped by excelling in our studies. I found solace in sports. I did both cross country and track and joined just about every club in high school. Anything to be out of the house. Running was a chance to escape my problems, but it didn’t resolve my deep seeded anxiety. I was afraid of everything growing up. I was constantly praying and making deals with God. I would count everything as way to feel like I had some control. I’d see programs on aliens and armageddon and be too terrified to sleep. Every thunderstorm I would curl up in my bed with rosary beads in hand. I was terrified of going to school, of trying new things, and most of all of failing. Being perfect was how I coped with my lack of self worth. It wasn’t until my senior year in high school that I became fed up with living in constant fear and challenged myself to do one thing that frightened me each day. This is what I wrote about when I filled out my college applications. By the time I left for college, I was well on my way to becoming my own person. I was living on my own in the dorms and paying for my own school. It was the first time I felt comfortable in my own skin. I started working and volunteering, and spent my summers home constantly out of the house. Yet, I never managed to escape my anxiety and self esteem issues completely. Perhaps this is why I I was easily seduced by my abuser. He frequently complimented me and made me feel like I was the center of his universe. I would have done anything for him. It was likely my upbringing that lead me to stay with my abuser so long, unaware of just how much fear and anxiety he had generated in my life- fear of saying or doing something that might upset him, fear of another outburst, fear of him doing something to embarrass me in public. At no point in our relationship did I even realize I was being abused. I had mistakingly thought that men who abuse their partners are aware that they are abusive. In reality, people like my ex truly believe other people are the cause of all their problems and behave toward them accordingly. This is because people like him are completely incapable of taking responsibility for their own actions and consider their victims the problem, not the other way around. It was after I left my abuser that my fear and anxiety hit an all time head. The PTSD symptoms I had were paralyzing. You know that feeling you get when you are alone in the house at night and you hear a noise? Imagine feeling like that all the time. It’s literally exhausting. It ruled my life, and I hated it. Running and working out helped. In fact, they were the only thing that helped– not therapy and not meds. People see how much I train, and they think I’m super dedicated; but the truth is this is how I cope with my anxiety. 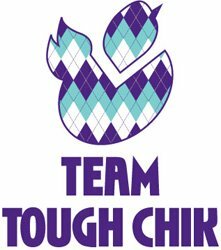 The more I trained, the more I needed to train to get the same sense of calm and relief. Presently I need to workout 2-3 hours on my days off to feel relaxed the rest of the day. At least it’s cheaper than therapy though, right? Now while I realize that most of you have not had to grow up the way I did or deal with PTSD, we are not actually that different. What is different is that my anxiety and fear existed on such a large scale that I had to face them head on. It was the only way I’d be able to function at all. Yet, many people live their lives in fear without ever realizing how much it holds them back. When is the last time you thought about something you wanted to do and then made an excuse to yourself about why you couldn’t or shouldn’t? That is the fear talking. Don’t say I could never run a 5K, 10K, half marathon, marathon, or ultra. The question is not a matter of can. The question is whether you are willing to put in the effort. Find a way. If it is truly a dream find a way to make it happen. Get a coach, find a training plan, write inspirational notes to yourself, and build up to the person you need to be to accomplish that goal. Perhaps you can’t do it now, but that is the point of establishing goals. It’s a about morphing into a stronger, smarter, and more confident version of yourself. Mold yourself into someone you can feel proud of. Plus I will let you in on a little secret: getting outside your comfort zone and pushing yourself, while incredibly uncomfortable while you’re doing it, feels BEYOND AMAZING once you’ve done it! It is one of the best feelings in the world- and it doesn’t matter how big or small the goal is. The more you do it, the easier it gets. Maybe the first step in your case is just to believe you can. That’s ok because we all have to start somewhere. It’s your journey and the only person you should compare yourself to is who you were yesterday. Make a commitment to yourself to grow into the person you have always dreamed of being. Along the way you will learn to truly love and accept yourself; and the everyday fear of not being good enough will slip away. It’s amazing how little you care about what other people think of you when you are truly happy with the person you’ve become. 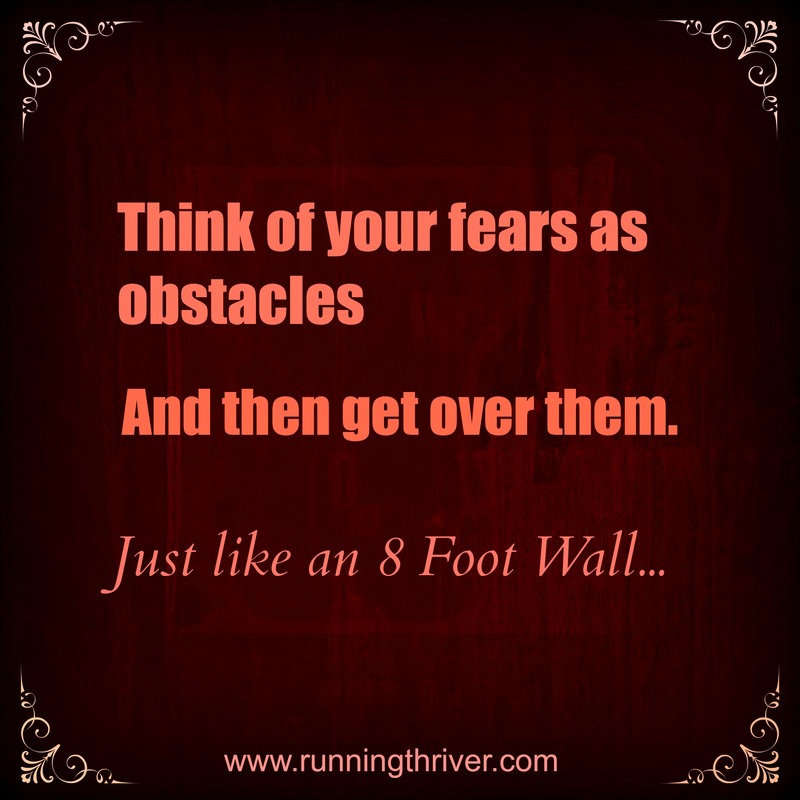 Fear is just an obstacle getting in the way of your dreams, and it’s time to get over it. Don’t let your inner critic hold you back. He or she is just bitter about your awesomeness. You are strong, inspiring, and courageous. You have talents and gifts that need to be shared with the world. It’s your time to start living fully and leave any lingering reservations in the dust. Repeat after me: Today I stand no longer afraid. I am not afraid to try new things– Sure it may be scary, but it’s what makes me feel like I am living! I am not afraid of being disliked– I’m a great person. I put others ahead of myself and truly care about the people in my life from friends and family to my employees and patients. If other people can’t appreciate that, it’s truly their loss. I am not afraid to fail– Because, hey, at least I am trying! 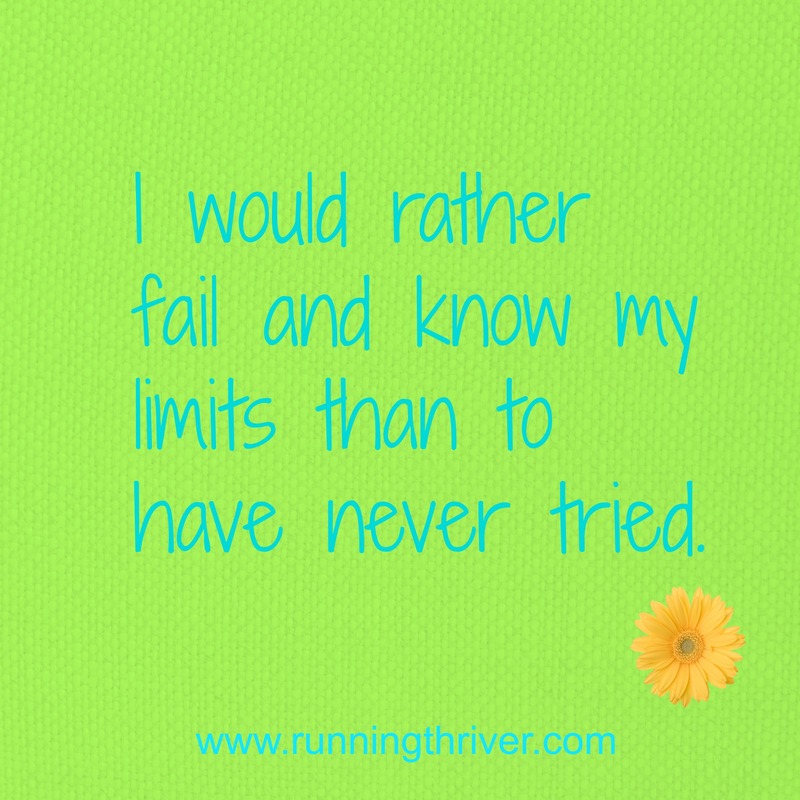 If I do fail or DNF then at least I know I’m testing my limits! Have you ever stopped to think what you might be capable of if you just tried? If you never try then how would you know? I am not afraid to bear my soul– This blog is 100% me and my truth. I am not going to hold anything back. I would rather be hated for who I am than loved for who I am not. People can go ahead and judge, but I am going to stay true to myself. How would I be any help to anyone else here if I wasn’t? Who’s with me? What fears are you ready to give up? I needed this today. Keep being awesome. Woah– it’s a little alarming how much of this I relate to. My father did not have a mental illness nor was he physically abusive but he struck us with an undercurrent of fear that manifested itself in so many of the ways you listed. I recall being in high school and college and feeling afraid of pretty much everything… There was a moment that finally broke that fear in me but it didn’t necessarily lead to any measure of freedom until I started making a conscious effort to live that way. Dang. Good words!